I figure I will barely have the time or the brain to even brush my teeth once the little people arrive, so cooking will certainly be out of the question. That said, I really don’t love the idea of stuffing my face with pizza and chinese food out of convenience, and I’m anxious to get myself back into healthy eating habits upon our arrival home as a family of four (eeeek! first time I’ve every typed that!). 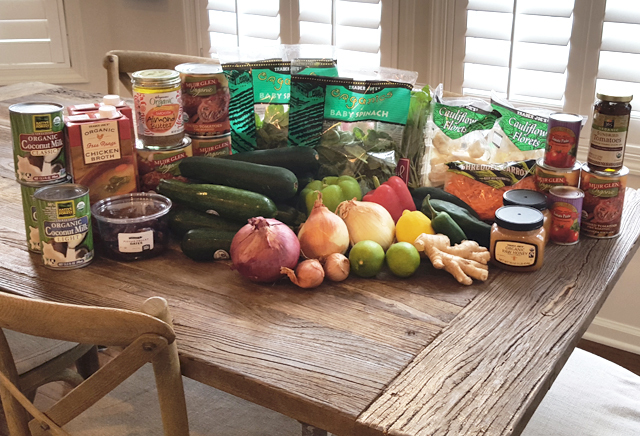 If you’ve been following my journey for a while, you know I’m big into the modified-paleo lifestyle as I feel my best when I maintain a mostly grain-free, dairy-free, non-gmo, natural, from the farm-to-the-table, organic diet. 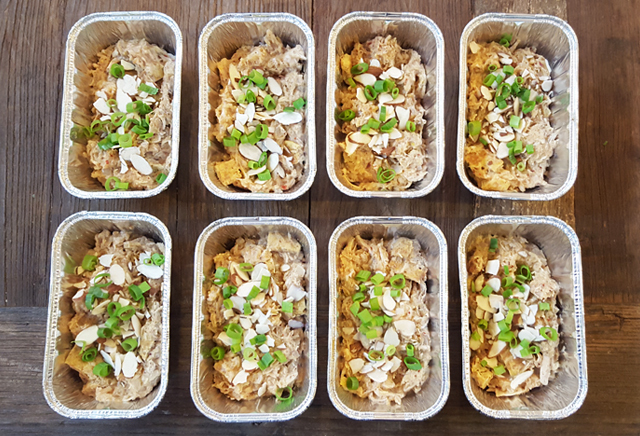 As such, I’ve gathered and prepped a few of my favorite paleo and modified-paleo recipes to keep us well nourished during what I expect to be the most exhausting few weeks of our lives yet. Simple spinach and fruit smoothie pops for a quick blended breakfast. I also intend to keep some fresh fruit on hand, as well as some paleo raw bars for mornings when the blender just isn’t going to cut it. 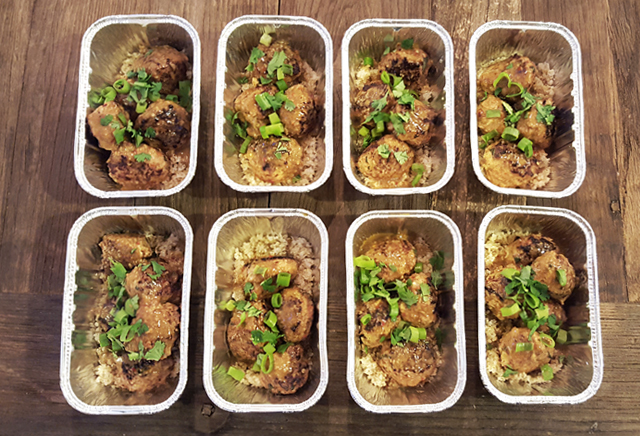 I was able to prepare a total of (60) individually portioned meals to rotate between lunch and dinner. This should cover us for two-three weeks, assuming we will once in a while grab a fresh salad or healthy meal from a local shop when we want to change things up a bit. Who says you can’t eat cookies AND still be healthy?! Once I ween myself off of the Dairy Queen cravings, I’ll certainly need something sweet to keep me satisfied. I’ve included a few of my favorite paleo desserts that allow you to have your “clean” cake and eat it, too! 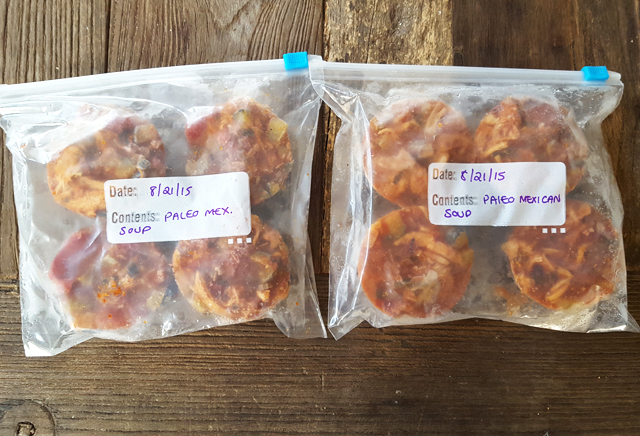 There are many ways to freeze food for best storage and reheating purposes. 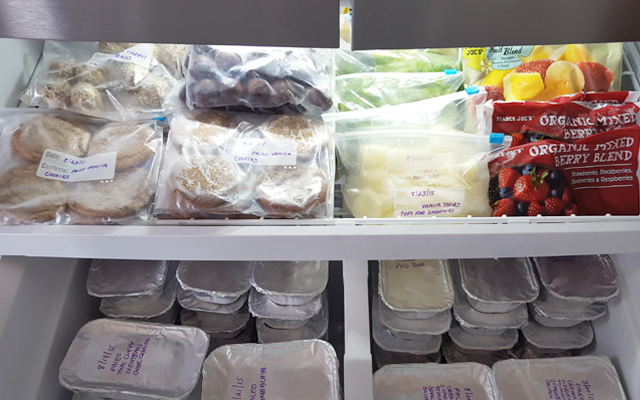 Since I will not be storing these meals for more than three months, I was not concerned about long-term storage (no double tinfoiling, double bagging, etc). I chose to use aluminum mini loaf pans for the individual meal portions (picked them up at Walmart for .88 per pack of five), and quart sized freezer bags. Everything was labeled with the date the meal was cooked and what’s inside. 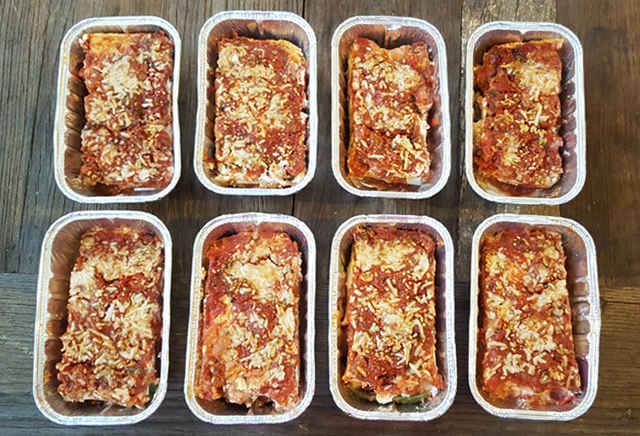 I personally recommend freezing in individual portions, as you can simply pop a serving or two into the oven for reheat without any further thought, and without having to thaw an entire tray! This will make the reheat time substantially less. Most of the meals below will reheat well at 300-350 degrees, for 20 minutes or less. You should look for an internal temp of roughly 160 degrees F or hot to the touch. Alternatively you could thaw in the fridge and then heat in oven or microwave, for even less time on reheat. I’ll probably add another snack or breakfast here and there to my stockpile as I await their arrival, but I think we are in pretty good shape for our initiation into parenthood. 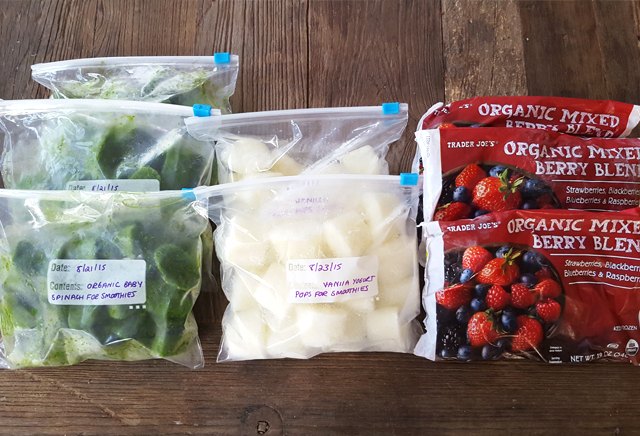 Stock up on a few frozen organic fruit medley bags. I like mixed berries, or even a tropical blend with mango, pineapple and bananas. Simply pop a few spinach and yogurt pops, along with with some frozen fruit into the blender and wallah, instant smoothie, quickly! 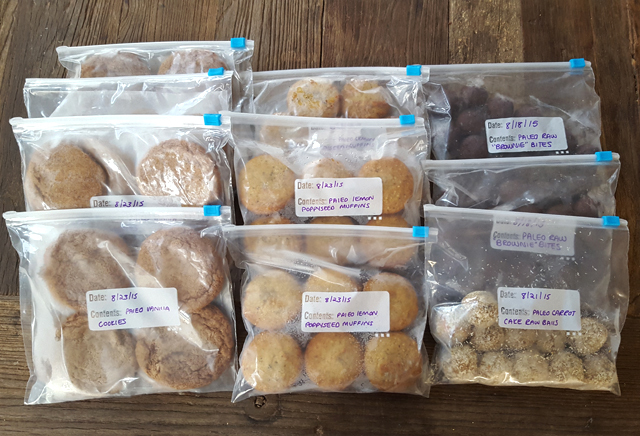 To achieve (8) portions, I basically doubled her recipe. 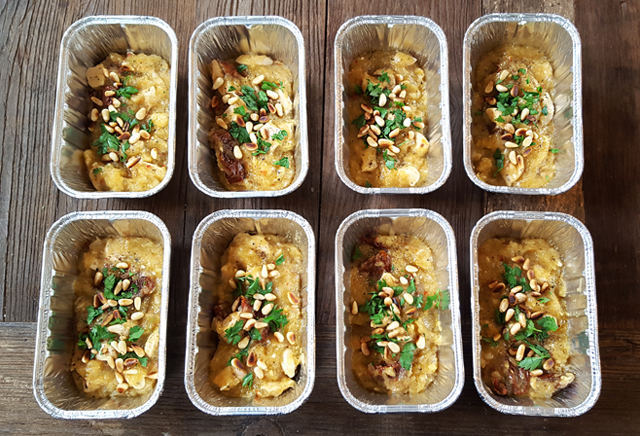 Specifically, I used (2) medium sized spaghetti squash which equates to roughly (4) cups of cooked squash, (1) large organic rotisserie chicken shredded without skin instead of grilled chicken thighs. Everything else should be doubled accordingly…(2) batches of the sunshine sauce [linked within the recipe], (4) eggs, and so on. I always omit the snap peas in this dish and I like to garnish with scallions and sliced raw almonds, but there are other suggestions listed if those don’t suit you! Followed the recipe measurements exact. I use only organic ingredients across the board. 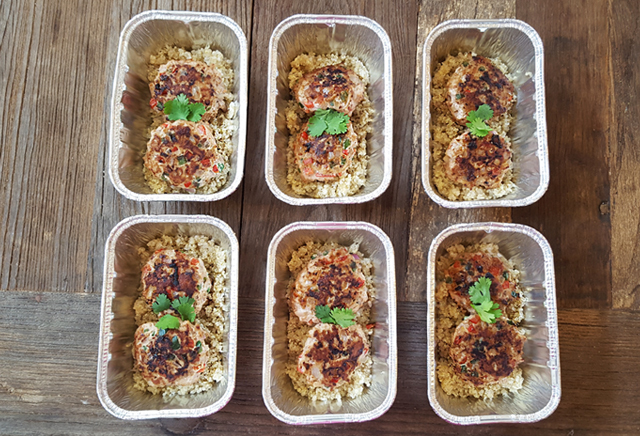 Chose to garnish with scallions and placed over a bed of organic quinoa for substance. Followed the recipe measurements exact. 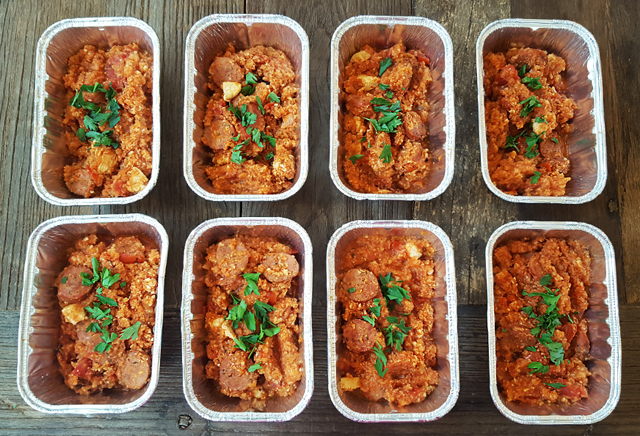 I use only organic ingredients across the board and selected a chicken sausage rather than a pork sausage. Chose to garnish with chopped parsley. Followed the recipe measurements exact, although I used (2) medium sized spaghetti squash which equates to roughly (4) cups of cooked squash. I use only organic ingredients across the board. Chose to garnish with chopped parsley and toasted pine nuts. Modified & Healthified from This Recipe Here! Sliced organic zucchini, in place of lasagna noodles (used roughly 4-5 large zucchinis). I omit the goat cheese and use (2) lbs of mozzarella cheese sliced thin between the layers. Personally prefer to use hot or spicy organic turkey sausage. I use only organic ingredients across the board. Chose to garnish with shredded parmesan romano. Placed over bed of organic quinoa for substance. I use only organic ingredients across the board. Chose to garnish with chopped cilantro. For easy freezing and reheating, once the soup is finished, pour portions into a muffin pan, let cool to room temperature and then freeze. 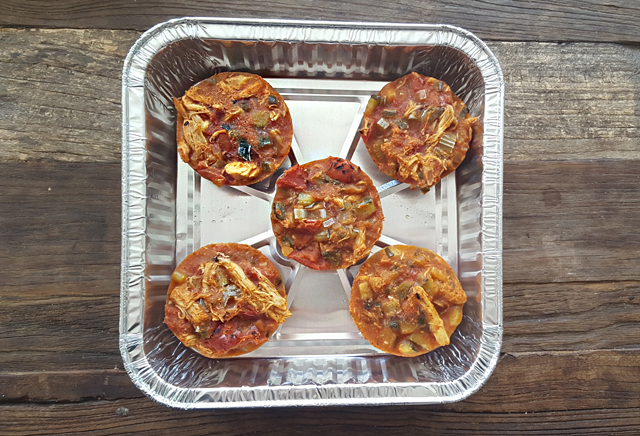 You’ll end up with these convenient soup pucks that will make it easy to take one or two, depending on how hungry you are for reheating, without attempting to reheat an entire block of soup! Stored these in freezer bags once removed from the pan. That's amazing mama! You rock. You'll drop that baby weight and look amazing just weeks after giving birth. I stumbled upon your blog tonight and it was so timely and heartbreaking and uplifting all at once. I've been trying to summon the courage to start more aggressive fertility treatment after two fruitless years of TTC with my less-than-fertile husband. Your story gives me hope, not because you're pregnant but because of what you endured. I feel educated and hopeful after reading literally every entry on here. The best thing about your story is that it has the happiest ending. Blessings to you times a million!